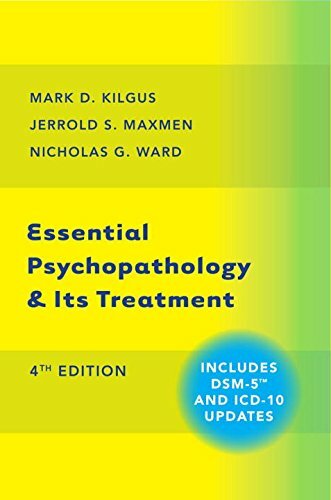 393710645 – Essential Psychopathology & Its Treatment (Fourth Edition) by Mark D. Kilgus Ph.D.
A comprehensive revision to the textbook on modern psychiatric diagnosis and treatment, keyed to the DSM-5 and ICD-10. Long considered a leading text on the assessment, diagnosis, and treatment of psychiatric disorders, this latest revision includes cutting-edge updates in neuroscience, psychopharmacology, and genetics. Geared to resident students in psychiatry and related disciplines, it makes practical, readable sense of the field. Author: Mark D. Kilgus Ph.D.